We’d love your help. Let us know what’s wrong with this preview of Beyond the Galaxy by Ethan Siegel. To ask other readers questions about Beyond the Galaxy, please sign up. This is a phenomenal book about cosmology. Author Ethan Siegel is an instructor at an Oregon college and he writes for the layperson (a little science background is needed when reading the book) in a clear, non obfuscatory way. The author is impartial in his overall delivery of the subject but heavily critiques his least favorite theories. Siegel IS an educator, after all. This book plus Siegel's science articles on Forbes.com make me want to learn more about astronomy and cosmology, a *lot* more This is a phenomenal book about cosmology. Author Ethan Siegel is an instructor at an Oregon college and he writes for the layperson (a little science background is needed when reading the book) in a clear, non obfuscatory way. The author is impartial in his overall delivery of the subject but heavily critiques his least favorite theories. Siegel IS an educator, after all. This book plus Siegel's science articles on Forbes.com make me want to learn more about astronomy and cosmology, a *lot* more! There is so much that we do know about this vast field, some things we've ruled out through hypothesis testing and verification of the data, and there are also some unknowns at work. The author is unambiguous about what he understands or rather what the science of the day understands, he extrapolates only from proven, testable cases of astronomical science -- this is Siegel's trademark and he knows he is good at it. At times Siegel is prescient. 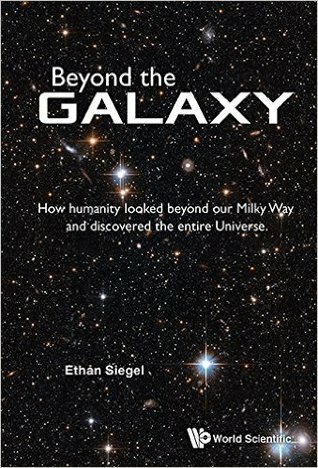 If you've studied cosmology at all in the past and haven't read this book but maybe have read Siegel's Forbes.com science articles then you're in for a treat. There are hints of concepts explored before that have not been thoroughly thought out by the scientific community (but already postulated to an extent) that Siegel deftly, carefully explores. A fundamental read of how much the perception of our universe changed over a short time distilled down to be absorbed by the curious layman. Best book on cosmology I have ever read.